Our story began in 2010 at Methodist University in North Carolina. I had received a Facebook request from Ricky, and I knew who he was from seeing him around campus and because he hosted the best parties in college. Ricky was such a charming & good looking guy that could convince me to do anything (I was a shy girl), but that’s what happens when you like someone I guess…After months of seeing each other on and off, he invited me to go to Puerto Rico with him to meet his family, which I knew was a big deal and that our relationship was getting serious. From then on our journey took us to Miami, and later on to Dubai. We have been in Dubai for 5 years now and together for 7. On the morning of December 24, 2015, we got engaged after almost 5 years together! My ring was in a big box under the tree, and after I gave him his gifts to open, he let me open mine! It was very sweet, and of course, I pretty much cried the whole day hahaha. 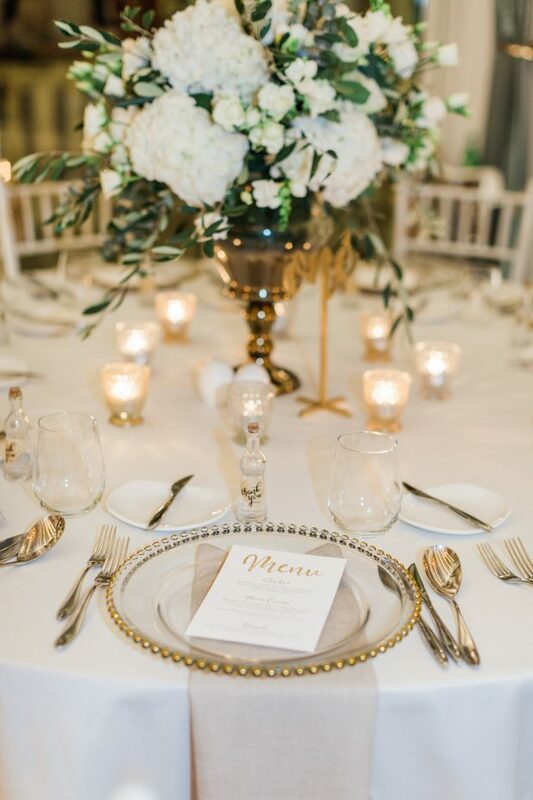 Wedding colours were white and beige, with touches of gold and lots of greenery. 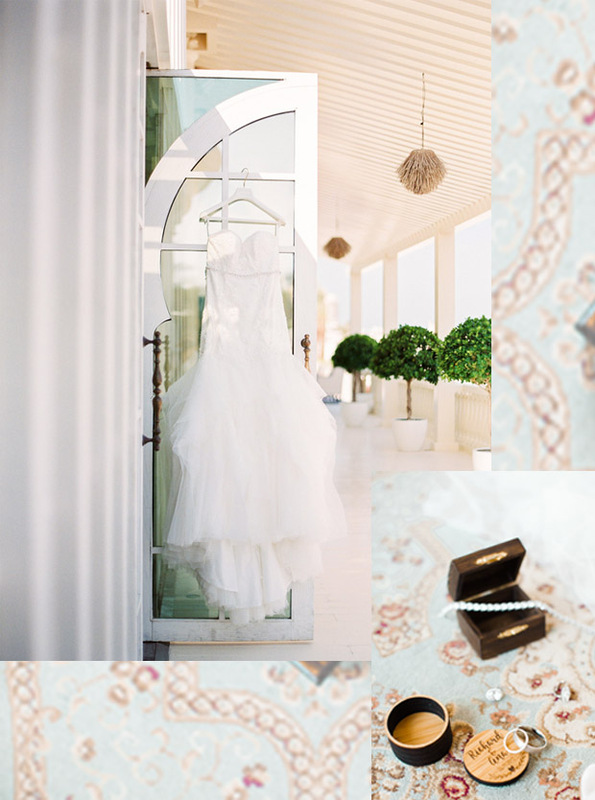 As for the theme, I would say elegant French country. My dress I got from Vanila Studio in JLT, and they were so helpful with helping me find my dress. It was a mermaid style, with lace, with a sweetheart neckline. I am a huge fan of the show say yes to the dress, so I knew exactly what I wanted. My hair and makeup were simple, natural and elegant done by Hayley Bingley Beauty. My hair was swept to the side with elegant Hollywood curls. 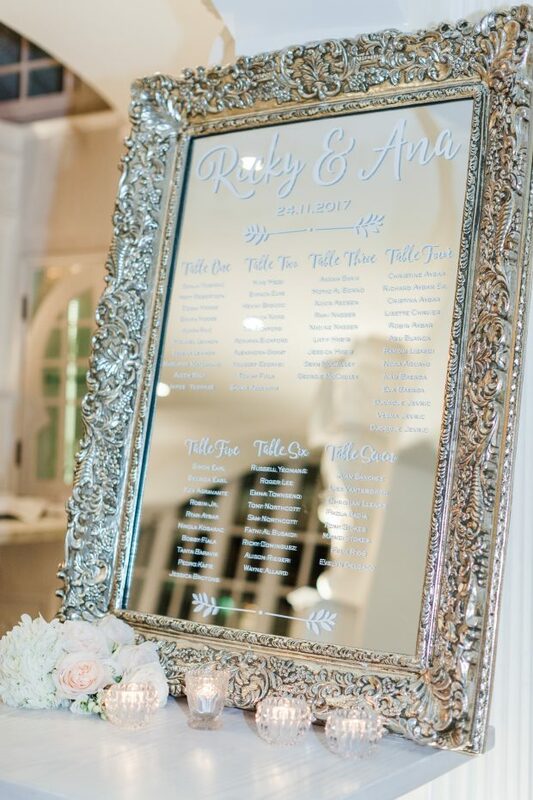 My bridal party wore dresses from David’s Bridal in the US, they were a pastel blush colour, with different designs in the same material, and Ricky’s groomsmen wore black suits, with custom shirts made at Ascot and Chapel, with silvery/gold ties. Well, this is a quite interesting story, our ceremony officiant was my grade 6 teacher from my school in Canada. When my mother passed away when I was 13, she helped me a lot and we remained very close, so in December 2016 while in Canada, my husband and I asked her if she would be willing to be our officiant, this was very special for us. 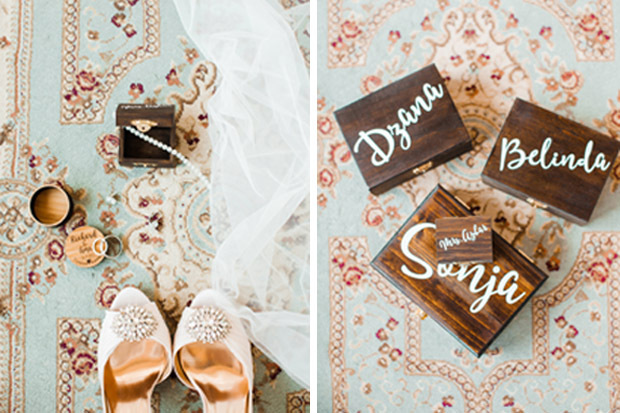 We love Maria’s style of photos, and after seeing her photos from other weddings, it was very easy to choose her. Once inquiring with her as well, she was always very helpful and kind, which is also very important of course. Well where can I start, Nancy from Lavender Blue, she was amazing! My wedding dreams came true because of her! I knew exactly what I wanted, but she made it all come to life. She knew every vendor, where to get things from, negotiating with vendors, and she did a great job dealing with me for over a year haha! 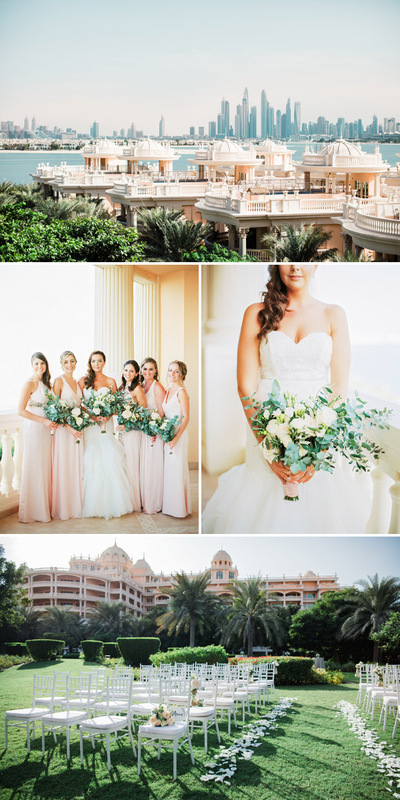 When we first came to the Kempinski Palm Jumeirah we fell in love. My husband was pickier about the venue then I believe it or not, and we both really wanted something that showcased Dubai. 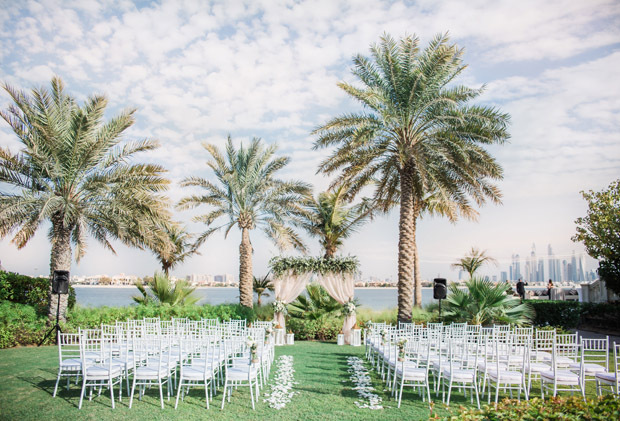 The venue outside was very green and the backdrop with the skyline of Dubai was amazing. 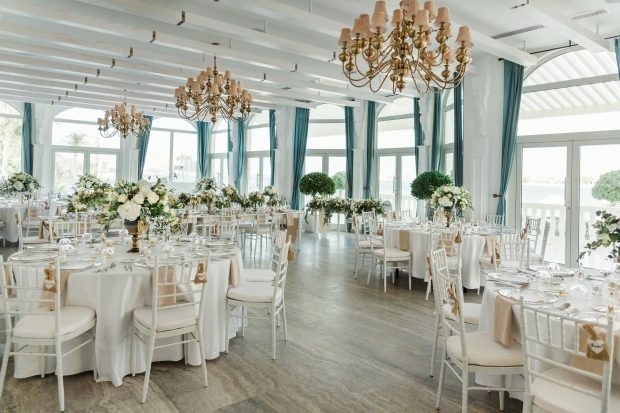 Our reception venue at Beluga was quite a Hampton’s look, very white and went perfectly with our theme. 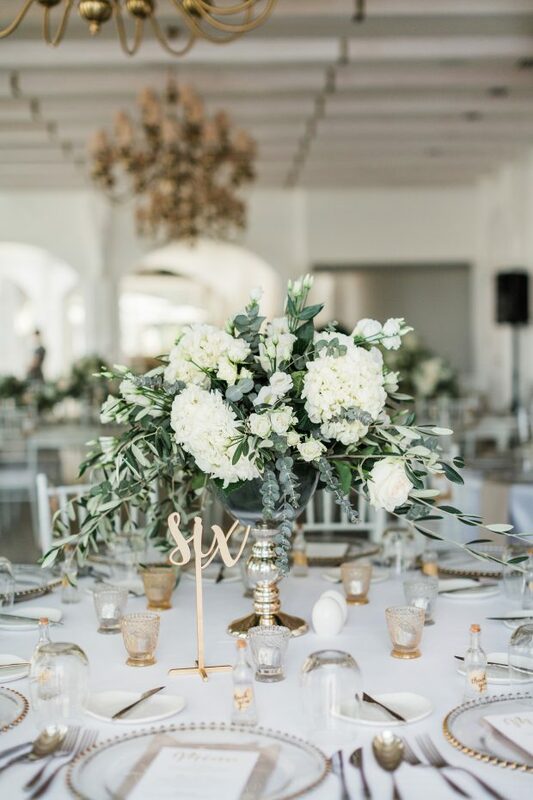 The venue really made the wedding something, wow and all of our wedding guests were blown away! Our honeymoon was 2.5 weeks long, we visited London for a few days and then flew to Rome, where we embarked on a 9-day cruise around the Mediterranean visiting Italy, Spain, Malta, and France. Once we returned to Rome, we stayed in this beautiful city for a few days before our return to Dubai. Walking down the aisle, I sang a song to my husband in Spanish his native language, and it was a total surprise for everyone including him, as I wanted to surprise him and everyone else too. All of our guests cried and it was definitely a very emotional and lovely part. Enjoy every moment of your wedding day, it passes by too quickly! It is the best day of your life and you will never forget it! Our editor, Tsian is a fashion girl at heart, but she also loves to write at length about beauty, food and anything celebrity related. 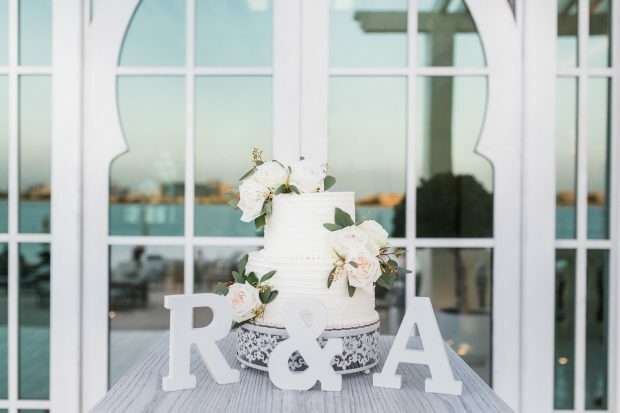 She has a trained creative eye, and finds herself drawn to anything a little bohemian, authentic and cool in the world of weddings.